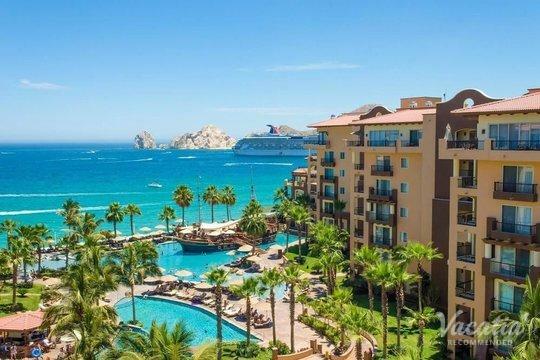 The stunning shores of Cabo San Lucas first became popular among celebrities and the wealthy elite during the 1970s, and in the decades since it has remained one of Mexico's most popular vacation destinations. This charming Baja California town is home to great dining and shopping, beautiful beaches, and a number of world-class resorts. Visitors flock to the sun-soaked town of Cabo San Lucas to indulge in relaxation, beautiful natural settings, and an array of outdoor activities. Due to its consistently sunny, warm weather, Cabo San Lucas is a haven for golf enthusiasts. Whether you're a novice golfer or a seasoned golfer, you're sure to fall in love with the beautifully kempt courses in Cabo. 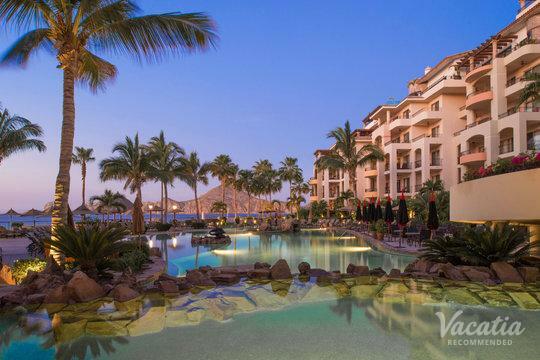 If you want to indulge in your love for golfing during your Mexico vacation, you should let Vacatia help you book your stay at one of the best golf resorts in Cabo San Lucas. 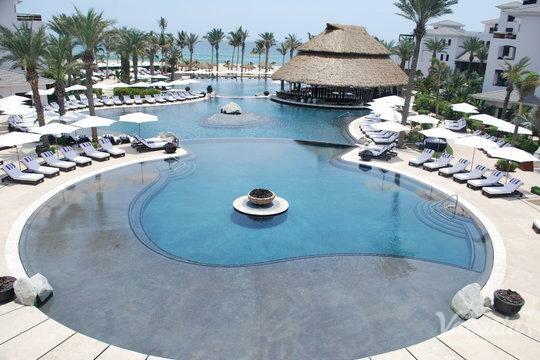 There are a number of quality resorts in Cabo San Lucas near golf courses, and Vacatia can help you find the perfect one for your upcoming trip. 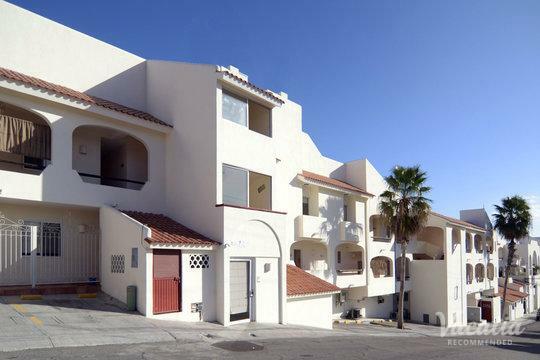 Vacatia strives to find travelers quality vacation rentals that meet their needs and exceed their expectations, and you're sure to enjoy every moment of your Cabo San Lucas vacation when you book your accommodations through Vacatia. Cabo San Lucas is one of Mexico's most beloved gems, as it boasts stunning beaches, dramatic coastline, and fantastic dining and shopping. 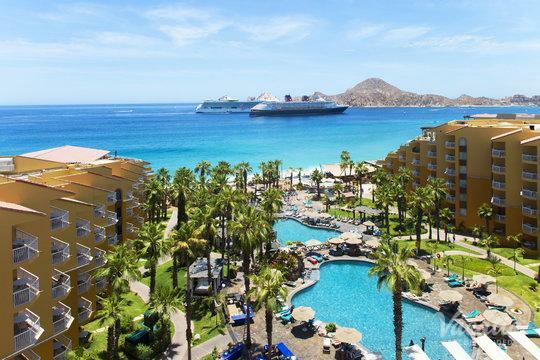 Cabo is a quick flight away for many U.S. cities, which is why it remains such a popular destination year-round. 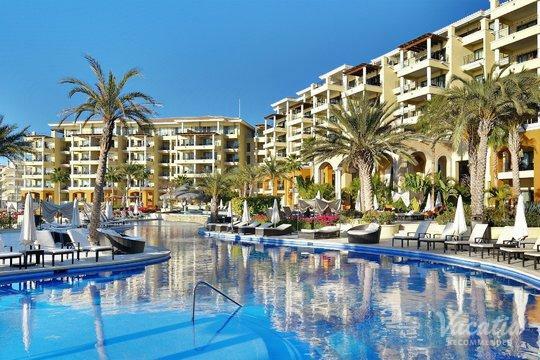 Whether it's December or May, visitors can enjoy the beautiful weather and outdoor activities in Cabo San Lucas, which is why you should rely on Vacatia to help you book your stay at one of the best resorts near Cabo San Lucas golf courses. Unlike a traditional hotel, a Vacatia rental property provides ample living space and many comforts of home, such as a fully equipped kitchen. In addition, Vacatia's rentals provide the luxury services and amenities of a top resort, which means that you can find a Vacatia property on a golf resort. No matter what you envision for your stay in this Baja California paradise, Vacatia can help turn your dream into a reality. Situated on the southernmost tip of Baja California, Cabo San Lucas is one of Mexico's most popular, most accessible vacation destinations. Cabo's pristine beaches and vibrant resort town vibe has made it a popular getaway for travelers around the world, and there's certainly no shortage of things to do or see during your stay in Cabo. This Mexico coastal paradise offers an abundance of beach and water activities, from swimming and snorkeling to boating and jet skiing. After you've had your fill of the beach, you can explore the charming town of Cabo or you can bask in luxury at your resort. 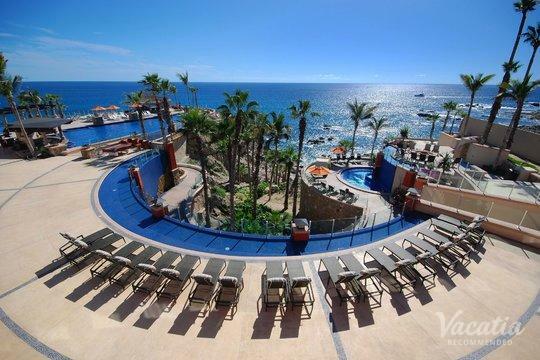 You are sure to enjoy every moment of your time in Cabo San Lucas when you let Vacatia help you find your ideal vacation rental.